QualificationAnd any teaching experience with Minimum 2-3 years of experience. 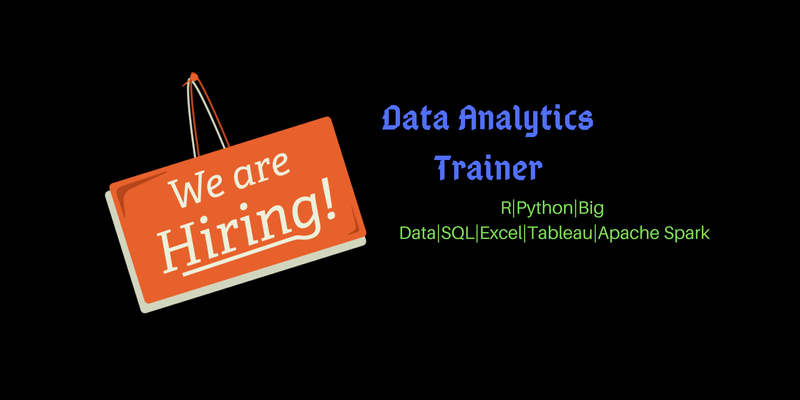 R, Python, Big Data, SQL, Excel, Tableau, Apache Spark. The Trainer will be responsible for teaching to students, working professionals, and corporate. And will be part of developing training content. Design and make the trainees develop mini or major Real-Time Projects for practical exposure. And Continuously improve on teaching methodology to suit the latest trend. Required Experience : - Minimum 2-3 years of developing and implementing respective technologies in a corporate environment. And any teaching experience will be an added advantage. Spyrosys is one of the leading digital marketing, software testing and search engine optimization(seo) company in kochi.India. We specialise in creating digital marketing solutions for web, mobile and social media to help companies engage and inspire their audiences.We are a team of skilled and friendly people, very passionate about our work and committed to constantly delivering a top quality service for which we are valued by our clients. We are looking for an experienced Business Development Manager, who shares our passion and drive, to join our team and open the doors to new fantastic opportunities that will allow us to take the business to the next level. # Have a strong network of contacts which you will use to develop new business opportunities and to establish business relationships with top advertising and marketing agencies. # Have a great understanding of digital services and how they can benefit clients. # Be experienced in all stages of the sales process from lead generation to conversion. Spyrosys one of the leading digital marketing, software testing and search engine optimization(seo) company in kochi. 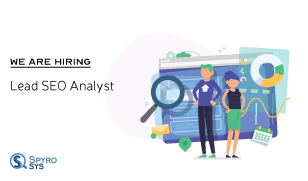 We are looking for an Lead SEO Analyst to coordinate SEO efforts, including onpage and offpage optimization and keyword expansion research.We are looking for an analytical and perceptive professional who is a skilled communicator and able to collaborate with various teams. Current knowledge of SEO practices and techniques is essential to this role. # Developing and implementing effective search engine optimization (SEO) strategies. # Managing offpage and onpage optimization projects and reporting on performance. # Develop and execute successful SEO strategies. # Manage team ofSEO Specialists. # Conduct keyword research to guide content teams. # Review technical SEO issues and recommend fixes. # Direct off-page optimization projects (e.g. link-building). # Collect data and report on traffic, rankings and other SEO aspects. # 2+ Years of experience as SEO Analyst,similar role. # Knowledge of standard and current SEO practices. # Experience with SEO reporting. # Familiarity with relevant web analytics tools (e.g. Google Analytics, Google Search Console,Keyword Analysis Tool). # Strong organizational and leadership skills. # Analytical mindset with numerical aptitude. Spyrosys is one of the leading digital marketing, software testing and search engine optimization(seo) company in kochi. We are an ardent pack of professionals with our heads around Software Testing, Digital Marketing,search engine optimization and Data Analytics.We are tenacious with our ethos of customer satisfaction and consider our clients to be our paramount assets. 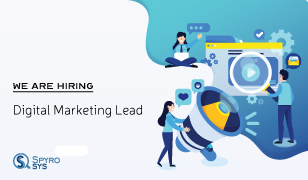 We are looking for an experienced and result-driven Digital Marketing Lead to join our awesome marketing team!!! # Build, plan and implement the overall digital marketing strategy. # Stay up to date with latest technology and best practices. # Manage and oversee various digital marketing channels. # Prepare and manage digital marketing budget. # Oversee all the company's social media accounts. # Suggest activities for improving the quality of online content. # Track and measure SEO and Google Analytics metrics and provide reports. # Build an inbound marketing plan. # Research and forecast future sales and performance trends. # Research competitors and provide suggestions for improvement. # Keep abreast with industry and market trends and best practices. # 3+ years of experience in Digital Marketing field. # 3+ years of experience in developing and implementing digital marketing strategies. # Good knowledge of all different digital marketing channels. # Good knowledge and experience with online marketing tools and best practices. # Hands-on experience with SMM,SEM,SMO,SEO, Google Analytics . # Familiarity with web design. # Sense of ownership and pride in your performance and its impact on company’s success. # Great interpersonal and communication skills.